I just feel like everyone’s always looking for a headline and they always want their magazine or TV show or whatever to be the one to break what my sexuality is. I feel like it’s irrelevant to what my music is all about. I stand up for the things that I believe in and the things that I’m passionate about, but I like to keep my personal life as private as possible when it comes to dating and sexuality and all that stuff just because it has nothing to do with my music. Unfortunately, we live in a world where everyone is trying to get that soundbite, and I am purposefully not giving the soundbite. Watch my documentary. Expectant and rude. Watch my documentary and chill out. Why tell a pop star when she can and can’t come out? To be clear, Lovato doesn’t say she isn’t going to talk about it ever, but instead claims she’s just not going to talk about it now with that journalist for an outlet called Q Syndicate. I think that’s fair. Beyoncé didn’t talk about her relationship trouble with Jay-Z. She saved that for Lemonade. Taylor Swift doesn’t really give interviews … ever. She saves talk of her personal issues and relationship woes for her music. Why can’t Lovato do the same? 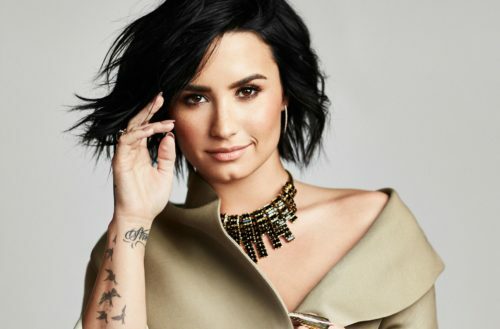 But Michelson disagrees, not wanting to wait around for the documentary to uncover the truth of Demi Lovato’s sexuality. Doesn’t everyone in the LGBT community need our support, whether out or not? Why are closeted people all of a sudden the enemy? As people who are proud of their sexuality and wear it on our sleeves, it’s not our duty to lecture others on their coming-out process or to interrogate them so an interview can get a few more clicks. Yes, Demi Lovato is a rich celebrity who doesn’t really need anyone’s pity. But let’s tread carefully when it comes to setting a troublesome standard of outing people. It seems both presumptuous and overreaching to tell other people what they can and can’t do with their own sexuality — no matter how famous they may or may not be. Instead, as leaders in the queer community who unabashedly live our lives out loud, we have to help those who struggle, being supportive when they ultimately want to open up about it — on their own terms.